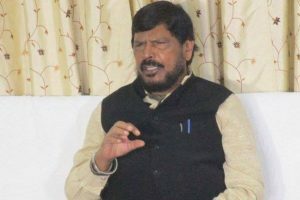 The BSP president slammed the BJP and the Rashtriya Swayawamsevak Sangh (RSS) for dividing the society along caste and sectarian lines. 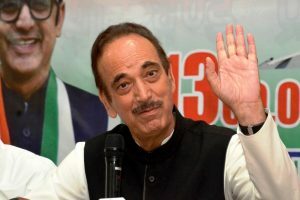 Amethi is Congress president Rahul Gandhi’s parliamentary constituency and Rae Bareilly is that of UPA chairperson Sonia Gandhi. 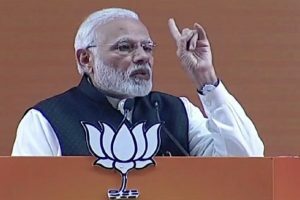 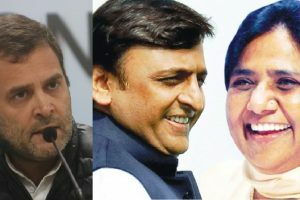 While the two parties will contest on 76 of the 80 Lok Sabha seats in Uttar Pradesh, two seats (Rae Bareli and Amethi) have been left for the Congress and two seats for the other alliance partners. 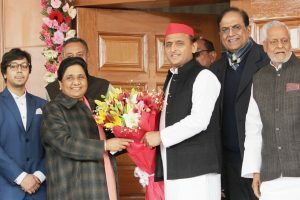 It was speculated that the RLD would be a part of the alliance again but the announcement has come as a shocker to many. 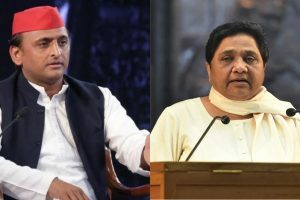 Days after agreeing to contest the 2019 Lok Sabha elections together, the Bahujan Samaj Party (BSP) and Samajwadi Party (SP) are all set to hold a joint press conference on Saturday in Lucknow. 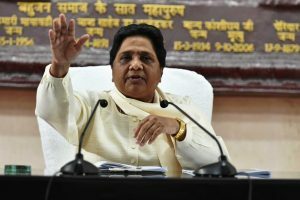 Mayawati hit out at the BJP leaders for their statements on the case asking since when did they become the ‘spokespersons’ of the investigating agency. 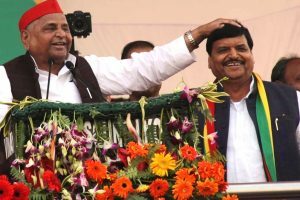 Party leaders feel that RLD, in an alliance with SP and BSP, can win elections on many important seats of western UP with their Jats-Muslims formula. 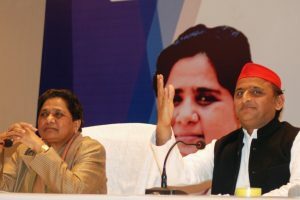 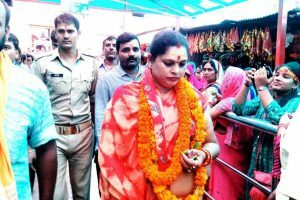 Samajwadi Party leader Kiranmoy Nanda called the Congress an “insignificant party” a day after his party formed an alliance with Bahujan Samaj Party (BSP) in Uttar Pradesh for the Lok Sabha elections 2019. 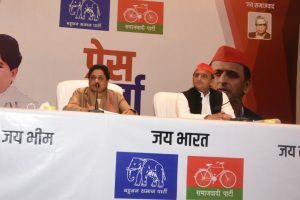 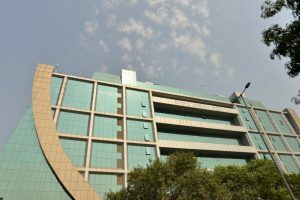 While no formal declaration about the pact has come forth from either the SP or the BSP, it is understood that Mayawati may make an announcement to this effect on January 10. 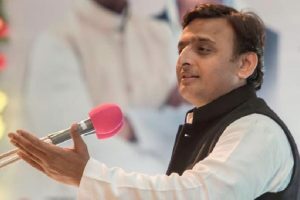 Speaking to reporters in Lucknow on Sunday, the former Uttar Pradesh Chief Minister slammed his successor for the condition of law and order in the state. 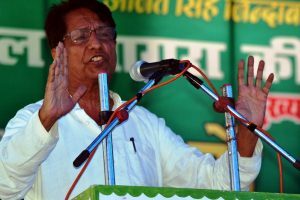 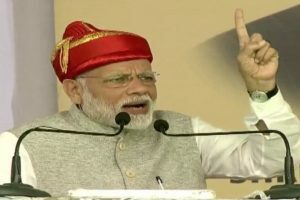 But, the wily politician despite speculations about his health sprang yet another surprise by attending the PSP’s ‘janakrosh’ rally at Ramabai Ambedkar Maidan here on Sunday. 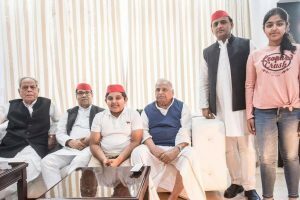 Samajwadi Party chief Akhilesh Yadav on Thursday celebrated the 80th birthday of party founder and his father Mulayam Singh Yadav.